In Portuguese marine waters, at far distance from the shore, there are two important assemblies of submarine reliefs , the submarine archipelago Great Meteor and the complex Madeira-Tore. These are oceanic areas, at a great distance form the continental portuguese shore, from Azores and Madeira, that constitute good submarine platforms for the development of biotopes. The importance of the knowledge of there biotopes took to the establishment of one unique consortia that evolves all the main institutions of marine research from the country with the goal of studying the biodiversity of these areas through the project BIOMETORE. In the scope of this project, are programmed eight campaigns of scientific research to these two submarine territories. The project BIOMETORE intends to acquire physical, chemical and biological data, in selected areas from the submarine mounts from the complexes Great Meteor and Madeira-Tore with the goal to acquire knowledge about the biodiversity, the species from the pelagic and benthonic ecosystems, and also about the human pressures in these areas. The effort of data collection that will take place in 2015 and 2016 by multidisciplinary teams from all the institutions present in the consortia will enhance the knowledge about the biodiversity and contribute for the characterization and mapping of the oceanic areas with the aim of a better understanding of the deep marine ecosystems. The BIOMETORE project also proposes to design a sustainability and management plan for the marine areas under study and to support the evaluation of the good environmental state in the scope of the Marine Strategy Framework Directive (MSFD). BIOMETORE is part of the action lines from the Marine Strategy Framework Directive (MSFD). The MSFD is the pillar from the European politic for the protection of marine environment. Its application requires the reinforcement of the monitoring of the critical areas and the development of measures to reach and maintain the good environmental sate of all European marine waters. BIOMETORE will provide important information for the integrated knowledge and management of the deep sea ecosystems from the two main assemblies from submarine mounts in the North Atlantic, in particular in the context of the implementation of the MSFD in Portugal. The program of measures of the MSFD in Portugal identifies also as goals the creation of new protected marine areas of large dimensions, delimited in deep oceanic areas. 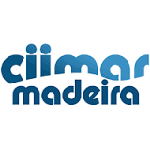 BIOMETORE intends to add scientific support for the good managment of new marine areas of large dimensios in deep oceanic areas, in the geological complexes of the Madeira-Tore and Great Meteor.